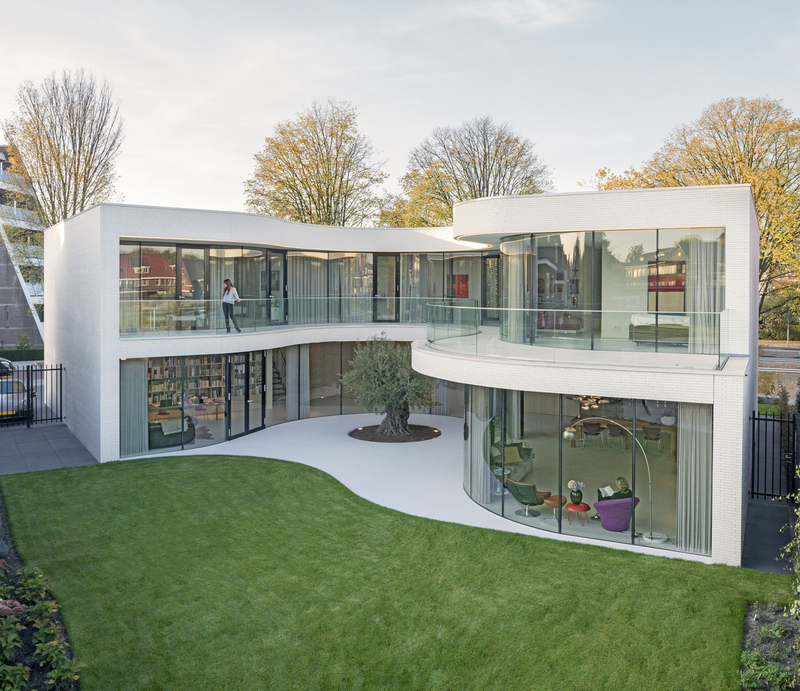 Hidden behind a white brickwork façade on a corner lot in Rotterdam, The Netherlands is a uniquely designed house by MVRDV with large curved windows facing an interior courtyard. 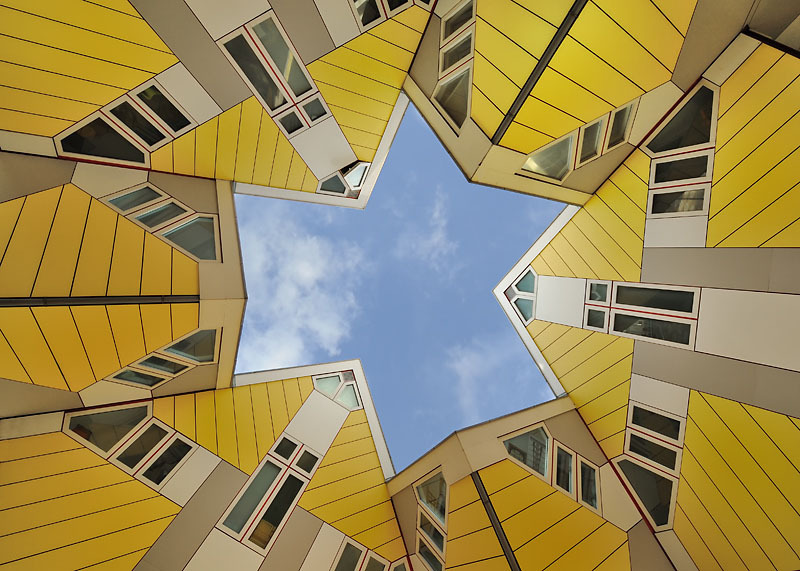 Designed by architect Piet Blom, these unusual looking residential Cube Houses located on Overblaak Street in Rotterdam in The Netherlands are based on the concept of “living as an urban roof”. The houses are tilted 45 degrees in a hexagon-shaped pylon. There are 38 small cubes with two super-cubes all connected together. One owner decided to open a “show cube” due to the curiosity of passers-by making this something of a tourist attraction. A Dutch hostel chain Stayokay converted the larger cubes into a hostel. Located in Rotterdam, The Netherlands, Fabbrica Restaurant is an Italinan restaurant with the ambience of a romantic canteen of a special factory. Long tables and benches in Italian ice-cream shop style colours such as pink and pistachio green create a fun atmosphere. A large wall of wood with an oven covered with Italian mosaic add another creative element to the interior decoration.